Built on Debian. Optimized for Desktops. 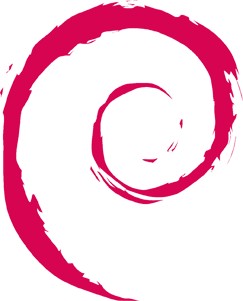 Point Linux is built on and fully compatible with Debian, which is known for its stability. Point Linux optimizes it for desktop use giving you experience not many other Linux distros can offer. "The Combination of Debian 'Wheezy' and Mate seems very attractive in Point Linux. It combines the proven Debian foundation along with a huge software package archive and first class management with a straight Gnome 2 like desktop." News: Point Linux 3.2 is out! Click here to get it. Point Linux is a GNU/Linux distribution that aims to combine the power of Debian GNU/Linux with the productivity of MATE, the Gnome 2 desktop environment fork. Point Linux provides an easy to set up and use distribution for users, looking for a fast, stable and predictable desktop. Point Linux uses the MATE desktop environment, trying to fully mimic the Gnome 2 look and feel and provide a comfortable desktop experience for the old school and corporate Linux users, migrating to the modern Debian platform. Point Linux comes with carefully selected minimal set of tools and desktop applications required to start using it to the full. Point Linux comes with the Mozilla Firefox web browser and Mozilla Thunderbird mail client, bringing these two popular applications on your Debian desktop. Point Linux uses DuckDuckGo, the search engine that does not track your search results. You can easily install Google Chrome or Opera having non-free repositories enabled with a single package installation. *Installed by default on Full LiveDVD version only.